Welcome to Arch Car Services, where we are dedicated to getting you to your destination on time, with comfort and in a professional manner. 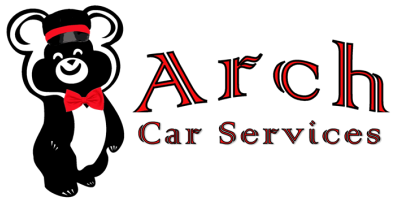 Arch Car Services is a local business based in Grand Rapids, Michigan. We are a family owned and operated business, successfully serving the community since 2012. Our company's mission is to provide you with prompt, reliable and comfortable transportation. Our services include airport pick-up and drop-off, corporate travel, special events, hourly charter services and long distance travel. For detailed information about our services, click here. We would be honored to be your car service provider of choice. Our rates are competitive and our vehicles always neat, clean and spacious. Our overall service is outstanding. Our fleet of vehicles consists of black executive Lincoln Town Cars, which are equipped with all the amenities that offer luxury, comfort and peace of mind. Our vehicles can comfortably accommodate up to four passengers, have full leather interiors, temperature control and tinted windows. Our drivers are licensed chauffeurs who are trained to provide the best service one would expect in the industry. Their first priority is to ensure our passengers’ safety and comfort. Our experience in the industry has taught us the importance of providing convenient, reliable and personalized solutions to our clients’ travel needs.